Has your interest been piqued to move to London? Or have you finally decided to make the move? Whatever your choice may be, there are certain details you would be ignorant of which can make London hell for you. Moving to London from other European countries, those under the EU and those who are not, the information shared here is of great importance. Countries in the EU like Germany, France, Netherlands, and Sweden do not need a Visa before their citizens can move to London. Non-UK and non-EU citizens will need to apply for a Visa before they can move to the UK. Also, remember that a tourist visa does not qualify you to work. Once this is settled, you can begin to think of other important things which will include where to reside, how to find work, how to transport yourself, and how to set up and establish your life in London. Thinking of London this way, North vs South or East vs West will without any argument present in West and North London as the favorable and desirable place for anyone to live in. London, in a real sense is a large city made up of neighborhoods and villages connected by trams, trains, buses and the Underground. Based on this, a much suitable suggestion to choosing where you should live in London will be to follow these guidelines: the further out you go of Central London, the lesser the rent prices. Zone 1 in London is now seen majorly as crowded with the wealthy. While there are council flats to apply for in this area, it would be foolhardy for you to try this, as there are already hundreds of thousands of applicants on the queue. Zone 2 provides a wider range of properties for you to choose from even though prices are also on the increase. A few suggestions from RandomlyLondon of where you can stay in London if you are comfortable with spending a little above your budget or just strictly in line with your budget are; Crouch End, Finsbury Park, Wapping, Walthamstow, Dalston, Whitechapel, Abbey Wood, Kennington, Herne Hill, Greenwich, New Cross, Tooting, Wandsworth, and Battersea. If you would be looking at renting an apartment, a shared accommodation, prepare to spend about £230 weekly on rent. Students should consider enquiring from their universities if they offer student halls of residence. An advice from UK Business Insider is to take the buses. It is a cheaper means of transportation and a great way of seeing more of the city as a new comer. Another advice is to try to move Overground as much as you can. Underground transportation is mostly crowded compared to the air-conditioned Overground commuting. Lastly, ensure your Oyster Card is insured on the TFL website. As it is almost certain that you will lose it, you won’t lose money on your travel card when it happens. Settling into London, UK Business Insider sheds light on a few things you need to do and know. One is opening a bank account. 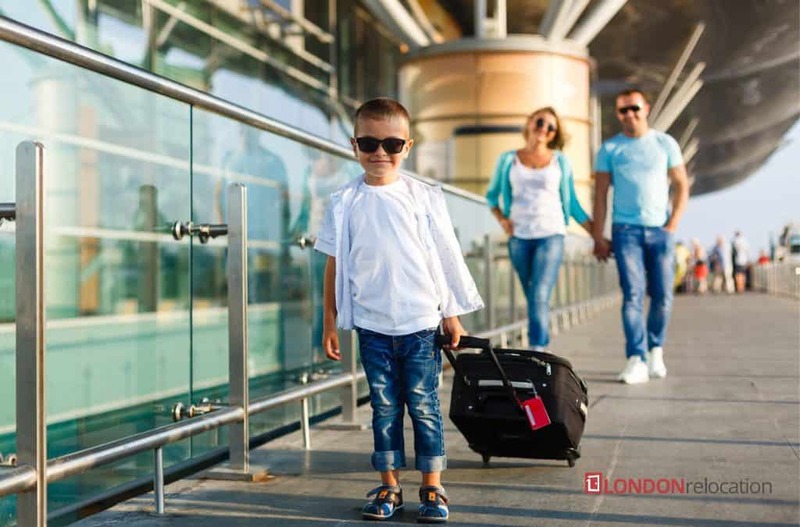 All you will need is your passport and a proof of address but this may to be the case many times as you may be asked to provide some other documents as an expatriate. You may want to consider these banks, NatWest, HSBC, RBS, MetroBank, Lloyds Bank, and Barclays. The weather in London happens to be more stable than the rest of UK. There is usually mild winters and temperate summers but just like other parts of UK but not as much, it rains quite a bit, mostly during winter. Having an umbrella or a good rain jacket nearby always is a wise choice. Get comfortable shoes, you would be doing a lot of walking. There are countless free museums in London. Try any of these; Wallace Collection, Victoria & Albert Museum, Science Museum, National History Museum, British Museum, The National Gallery, National Portrait Gallery and Tate galleries. If you don’t want to get lost in London, download Citymapper. It is more useful than Google Maps in London. According to BrokeInLonfon, for an affordable Italian meal, visit Arancina in Notting Hill Gate. They change their menu every day. La Petite Bretagne is the best French Restaurant. You would not want to miss it.